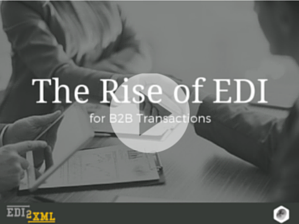 What is EDI2XML web Service? EDI2XML Web Service, is an HTTP service running over the internet, on EDI2XML own platform that is capable of receiving HTTP requests to translate EDI messages to XML, and XML messages (based on EDI2XML’s proprietary format) to EDI. 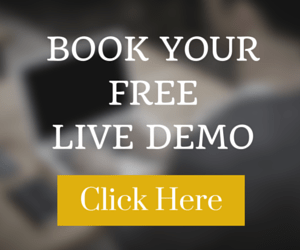 Our EDI Web Service gives developers the power they need to do EDI easily. EDI Web Service solution solves developer’s problem because we have an expertise in an EDI technology that is difficult for the developers to replicate. This solution enables to increase efficiency, and reduce cost of EDI implementation. 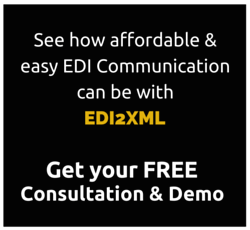 Looking for an EDI Web Service to translate EDI to XML, and XML to EDI? 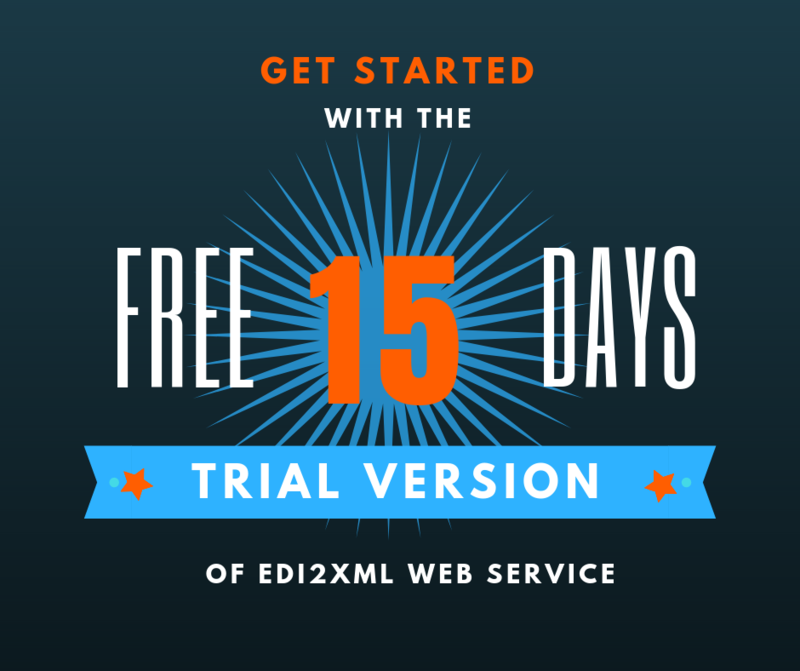 Get started with a 15- days trial of our EDI2XML HTTP Service, and start integrating EDI into your projects!